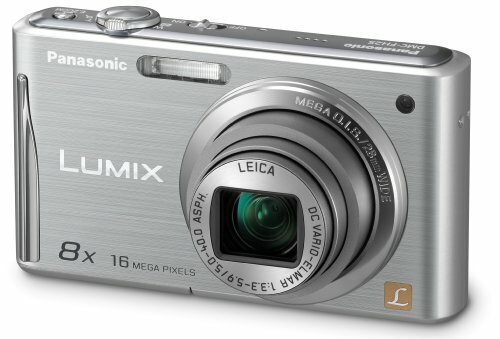 The LUMIX DMC-FH25 shoots high-quality 16.1 megapixel images and combines a 28mm wide-angle*1 LEICA DC lens with a powerful 8x optical zoom to take amazing photos. Redesigned with an easy-to-hold grip and slim and stylish profile, it features a 2.7″ Intelligent LCD, 720p High Definition (HD) video recording and advanced iA (Intelligent Auto) for ease of use. 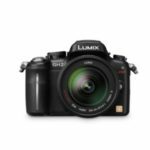 At the core of the LUMIX FH25 is the Venus Engine VI image processor with Intelligent Resolution technology for shooting clear and crisp digital photos and videos. The camera features a fast response time with shutter release lag times as short as approximately 0.005 seconds and, by adding Sonic Speed AutoFocus (AF), users can easily capture spur-of-the-moment photos. Using Intelligent Resolution technology, the Intelligent Zoom extends the powerful 8x optical zoom to 10x equivalent without compromising picture quality. 2.7-inch High Resolution LCD – Large 2.7-inch LCD features high 230,000-dot resolution Intelligent LCD. iA (Intelligent Auto) Mode – When you don’t know which mode will give best shooting results, when you don’t have time to change any settings. The MEGA O.I.S. (Optical Image Stabilizer) – Compensates for the blurring caused by hand-shake. It automatically adjusts the brightness in 11 steps according to shooting conditions. 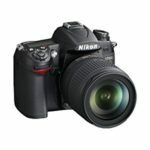 This LCD provides sharp, clear images in virtually all-shooting situations, ranging from nighttime to bright daylight scenes. An advanced noise reduction system in the Venus Engine VI applies noise reduction (NR) to luminance noise and chromatic noise separately.